Pre-heat oven to 400 degrees F. Grease 9×9 baking pan with olive oil or canola oil. In a small bowl/cup, stir skim milk and lemon juice and let mixture sit for 5 minutes.. In a large bowl, stir together cornmeal, wheat flour, sugar, baking powder, baking soda, salt, and pepper. In a small bowl, whisk together homemade sour milk, greek yogurt, eggs, oil, jalapeños, and corn. Pour wet mixture into flour mixture and stir until the ingredients are combined. Pour cornbread batter into the baking pan. Bake cornbread for 25-30 minutes, until a wooden tooth pick or tip of knife comes out clean when inserted in the center of the pan. Let cornbread cool for 15 minutes. 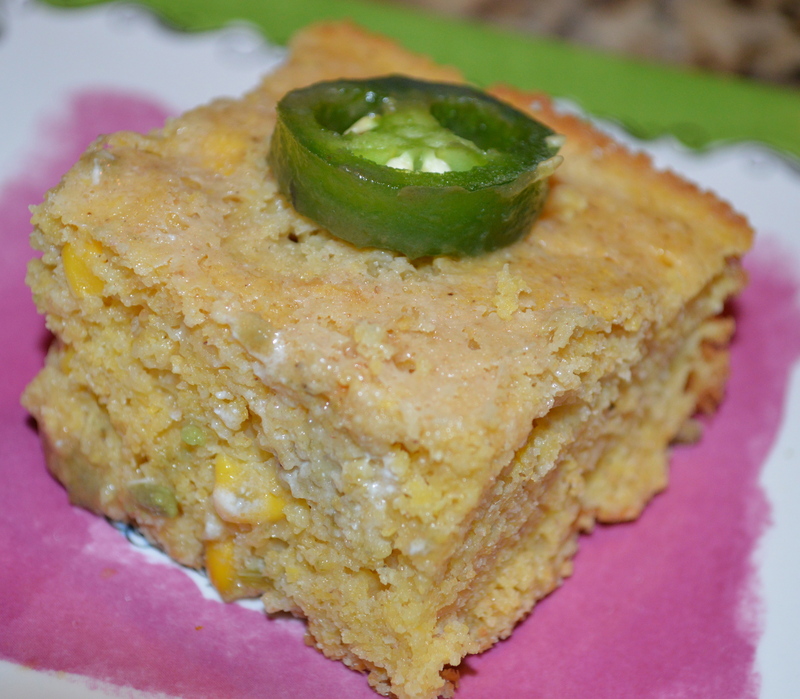 Cut cornbread and serve warm or cold.